A child prodigy named Philip Gale committed suicide at the age of 19, jumping from a classroom's window. Before jumping, he wrote on the blackboard Newton's equation for how an object accelerates as it falls, along with a sketch of a stick figure tossing a chair. He signed it, "Phil was here." 2. Ted Kaczynski or The Unabomber was a math prodigy, started at Harvard at the age of 16, and received his Masters and his Ph.D. in mathematics by the time he was 25. He also had an IQ of 167. 3. Audrey Hepburn was a ballet prodigy as a child, but after 5 years of malnutrition due to German occupation during World War 2, she was permanently too weak to dance, so she turned to acting. 4. A child prodigy named Ruth Lawrence passed the Oxford University mathematics exam at the age of 10, coming first out of all 530 candidates. She then completed the degree a year early by age 13. 5. Child prodigy Kim Ung-Yong, the man with the world's highest IQ was fluent in 4 languages by the age of 4 and began attending university the same year. 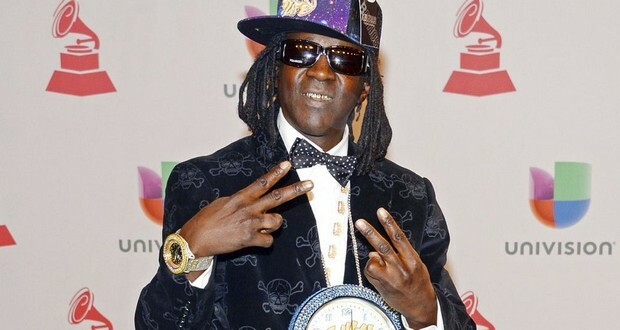 Flavor Flav is a musical prodigy. By the time, he started performing with Public Enemy, he was proficient in 15 different instruments, from drums to oboe. 7. Catalina "Catty" Lemmon, the daughter of retired adult star Asia Carrera is a child prodigy and enrolled in college at the age of 11. 8. Michael Kearney, a child prodigy spoke his first words at 4 months and graduated college with a degree in Anthropology at 10 years old. 9. A math prodigy named George Green operated a windmill for 20 years. Almost completely self-taught, he could not attend university until almost 40 years old. Green nonetheless graduated from Cambridge as one of the top math students; Einstein later said that he was 20 years ahead of his time. 10. There is a blind, autistic musical prodigy named Derek Paravicini who can play anything he hears but can barely count 10. 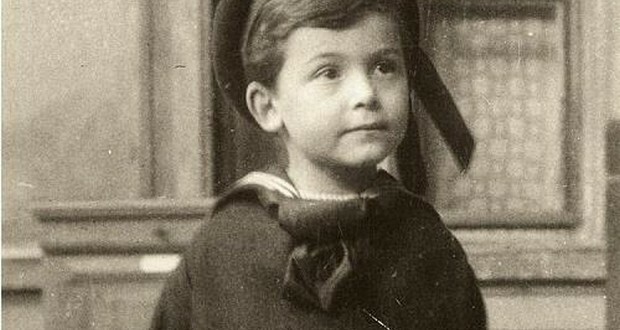 William James Sidis, a child prodigy who was thought to have been the smartest man who ever lived, escaped the limelight and worked blue collar jobs, secretly writing thousands of manuscripts that have never been read. 12. Brandenn E. Bremmer was a musical prodigy who taught himself to read at 18 months and played the piano at the age of 3. He completed high school at the age of 10 and committed suicide at the age of 14. 13. A 16-year-old (as of 2019) Canadian tech prodigy named Tanmay Bakshi started using computers at the age of 5, launched his first app at the age of 9, and has been working with IBM’s AI and cognitive APIs for a couple of years now. 14. A child prodigy named Christian Heinrich Heineken by at the age of 1, read the Pentateuch, and by the age of 4 wrote the "History of Denmark" and recited it when visiting the King of Denmark later the same year. 15. Child prodigies Tanishq Abraham (born June 2003) and his sister Tiara (born December 2005) are the youngest siblings to have joined Mensa at 4 years of age. Tanishq has since completed one-third of an associate degree with a 4.0-grade point average at just 9 years of age. In 1999, a child chess prodigy named Joshua Waitzkin, a subject of the film "Searching for Bobby Fischer", gave up chess and took up Aikido. In 2004, he won the world champion title in the competitive sport of Taiji Push Hands. 17. Shakuntala Devi was a child prodigy. She solved a math problem (the 23rd root of a number with more than 100 digits) faster than the computer of that time (1977). 18. An Indian child prodigy named Edmund Thomas Clint painted more than 25,000 paintings until his death. He was just 7 years old. 19. Chris Korda, a DJ and a transgender is a programming prodigy who developed the software for the first colored printer. Chris also began a cult that promotes suicide and cannibalism and is seen as a non-profit educational organization by the United States Government. 20. One of Oxford University's youngest students, Sufiah Yusof, was a mathematics prodigy who left her studies behind to become a prostitute. A famous philosopher and former child prodigy, Saul Kripke, turned down a teaching post at Harvard because his mother said that he should, "finish high school and college first." 22. There is a deaf 16-year-old (as of 2019) Indonesian fashion designing prodigy named Rafi Ridwan who released his first clothing line at the age of 9. 23. At just the age of 3, a child prodigy named Jacob Barnett explained why the moons around Mars are not round. 24. Ursula Parker, the girl who plays Jane in Louie, is a violin child prodigy. She played at Carnegie Hall at the age of 8. 25. A Palestinian child prodigy named Iqbal Al Assaad graduated high school at the age of 12 and became a doctor at the age of 20 making her one of the youngest high school graduates and the youngest Arab doctor.